Promontory Point has been added to the Register of Historic Places. The designation, granted by the National Park Service, is largely symbolic. SLEU has right to unionize, NLRB says: The National Labor Relations Boarddenied the University’s motion to review whether its student library workers had the right to unionize, finding no “extraordinary circumstance” to warrant the reversal. With this decision, only a charge of electioneering is left between SLEU and official union recognition. 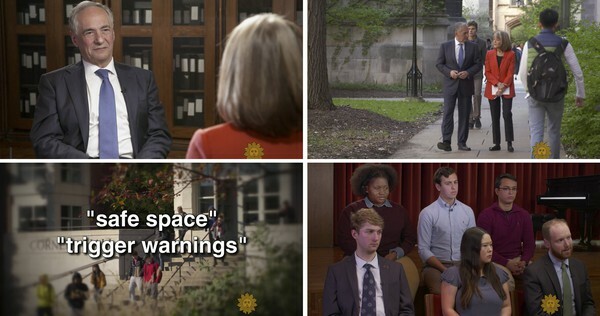 On behalf of the Phoenix Survivors Alliance, third-years Vanessa Camacho and Olamide Ogunbambo detail the harrowing and problematic experience of reporting sexual misconduct at UChicago, painting a picture of institutional negligence. Columnist Zahra Nasser reflects on the Aziz Ansari case, arguing that understanding consent as a simple "yes" or "no" delegitimizes survivors' experiences of sexual misconduct. The Maroon Editorial Board contends that criticisms of the Obama Center's construction should focus more on changes that can still be made and less on the Center's location. Prime Minister of Canada Justin Trudeau is coming to the Institute of Politics on February 7. Students came out in numbers to the second Women’s March in Chicago, joining 300,000 marchers downtown. — The second episode of The Maroon Weekly podcast covers Saturday’s Women’s March to the Polls + the fate of Grounds of Being. Olmsted's vision meets Obama's legacy: 182 faculty members have signed an open letter concerning the future of Jackson Park, expressing their desire for the “Obama Foundation to explore alternative sites” for the Center. Nearly every faculty member who discussed the concerns raised in the faculty letter with The Maroon mentioned that the Center’s plans disregard the original intent of Frederick Law Olmsted. — Counterpoint: “From what I understand, Olmsted’s vision of the park is that it should be an urban space to be used not by a subset, but by all the people of the community. The Obama Library’s mission is entirely consistent with this,” professor Erin Adams wrote in a letter to the editor. Meryl Streep stars as Katharine Graham (A.B. ’38), who made the landmark decision to publish the Pentagon Papers, in a triumphantassertion of the right to free press. A trio of photographers grapple with family and current political conflicts in a new exhibit at the MOCP. Take advantage of your UCID with “after hours” at the Shedd Aquarium and College Night at the MCA this week and more in Exhibit A. Three years of data from the Dark Energy Survey (DES), a project that aims to explain the expansion of the Universe, has been released. Scientists from the University of Chicago Physical Sciences Division, Fermilab, and Argonne National Laboratory are among the 400+ researchers who are collaborating on the project. Mayor Rahm Emanuel reaffirmed this week that Chicago was committed to trying to convince Jeff Bezos that it was the prime location for Amazon’s second headquarters after the city made the company’s preliminary shortlist.For more local politics news, check out this week’s Citizen Bulletin. Women's basketball keeps on winning, while the men's team split their two games this weekend. Swimming honored their seniors while the men defeated a DI foe. Wrestling takes second to North Central, and track and field places high at the I-55 Triangular meet.